This time of year means cold weather and we all love a nice hot bowl of soup! This recipe is so yummy and what is even better, is that it can be prepared in a slow cooker! This is a sure win on a cold winter day! 1. Heat large saute pan over medium high heat and brown sausage. 2. Add minced garlic and stir to combine. 3. Drain off the grease and then add sausage and garlic to the bottom of slow cooker. 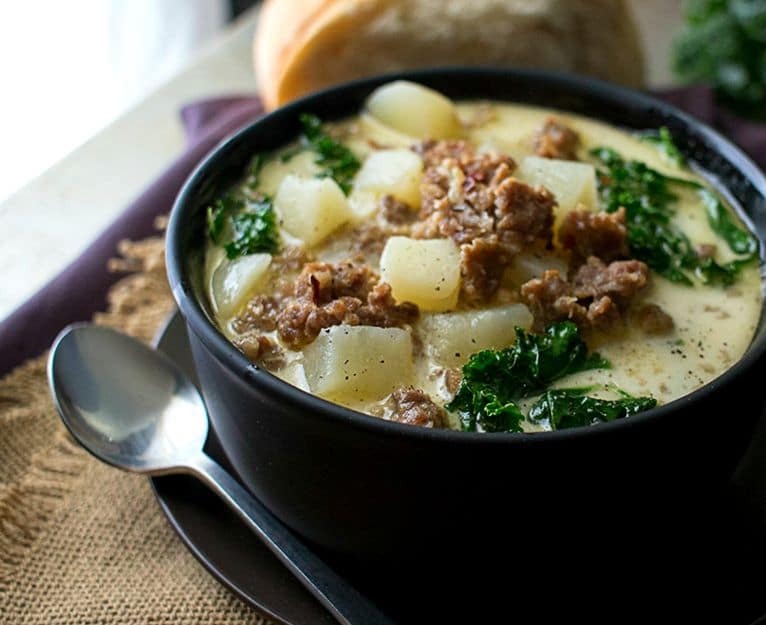 completely cover potatoes and sausage. 7. Cover and cook on HIGH for 30 minutes until soup has thickened slightly. Thank you to The Chunky Chef for this great recipe! Click Here to print this recipe.